When catching up for coffee with the girls, you know it’s time to let out all the steam! Yellow Spoon is on the hit list to indulge in some sweetness over hugs and chats. 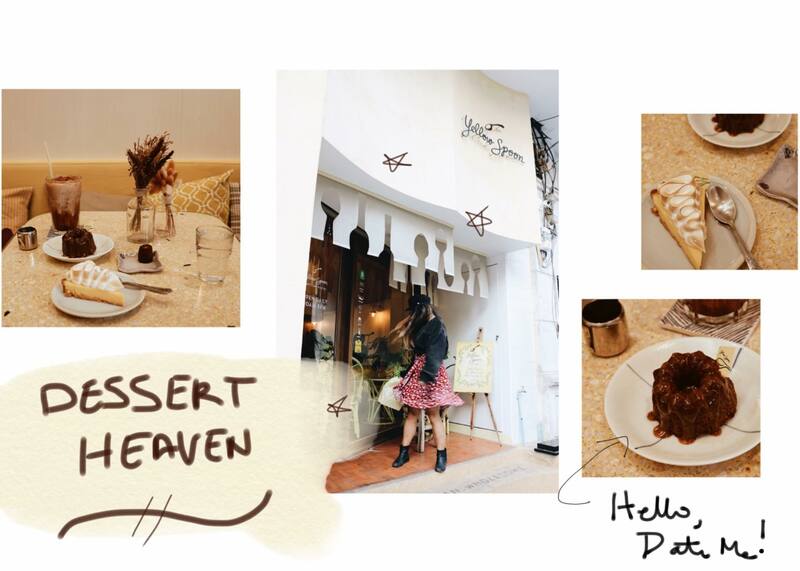 This cozy artisan boutique coffee and dessert cafe is tucked away from the busy streets with a space filled with light, pastel colors, and an all-around atmosphere that’s bound to lift your mood. They sell delicious pastries and high-quality desserts that will make you drool on entrance! 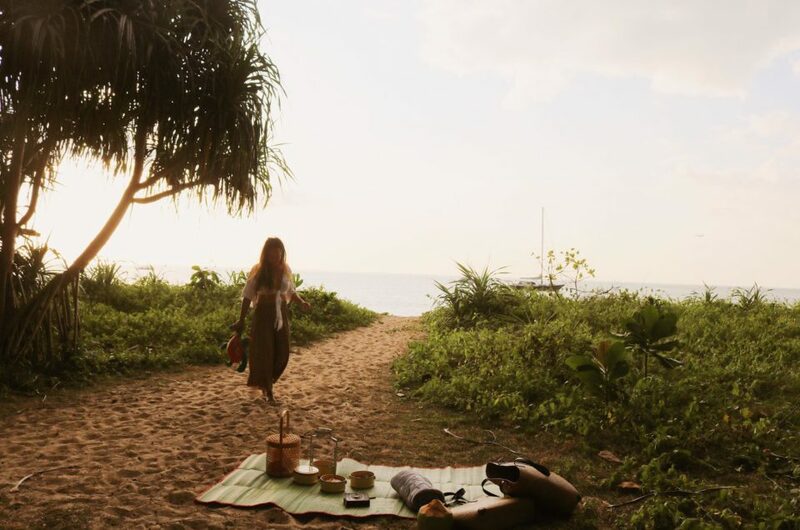 Combine a nature escape with restaurant and the birth of your favorite brunch place is born. Brunch is always a YES, so why not in a garden surrounded by trees, swans, and white peacocks while being virtually away from the busy city?? The Gardens of Dinsor Palace was historically built with tons of culture involved with its development including a King and his Palace (yup, you are eating Brunch in a freaking palace). The menu includes the classes western style dishes that you simply can not go wrong with. I’m talking Eggs Benedict with Salmon, my favorite, Pasta in sauce, also my favorite, and chocolate lava cake, surprise ALSO my favorite!! 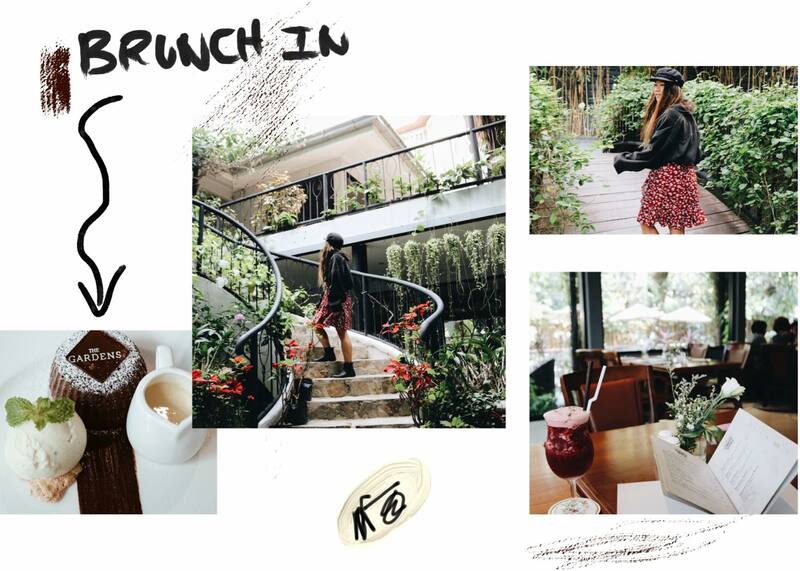 This restaurant is the type of place you’d go out for not only the divine food but also its pristine setup – bring your cameras and gather the girls in The Garden located in the heart of Bangkok City. P.S Feeding the swans make me so happy. 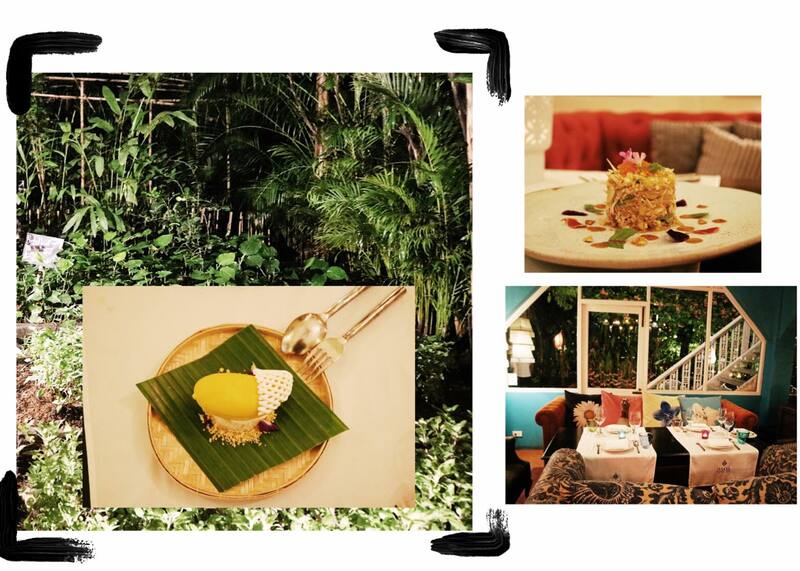 A must visit to Issaya Siamese Club is needed to try out some of the best food in Bangkok!! Housed in a charming retro colored 1920’s inspired villa with a vibrant herb garden, making you feel all at styling home you want to snap photo’s in. Indulge in an experience of local Thai food from celebrity-chef Ian Kittichai uses herbs and spices from the restaurant’s back organic garden to bring to life some amazing dishes with a modern yet tradition spin on Thai cuisine. Top notch food and amazing service in a restaurant with a lovely ambiance and delicious mango sticky rice pudding in the whole wide world, a girl can’t ask for more. They also have amazing vegan food options as well so don’t shy away!! This is random but one of the chefs that work at Siamese is from my home town Barrhaven, and if you’re from Barrhaven, you’ll know it’s incredibly rare to meet someone else in the world from my small little town. Anyways, he’s a freaking amazing chef. I know smoothies and juices are typically to be in caution in Thailand as the water used to wash the produce should be avoidable according to my travel doc, but what I love about these two companies is that you can enjoy & trust a full juice detox while you’re traveling. Using the best and freshest ingredients to help power through your days ahead. Not to mention – seriously tasty juices. Their looks are just half the appeal my friends. 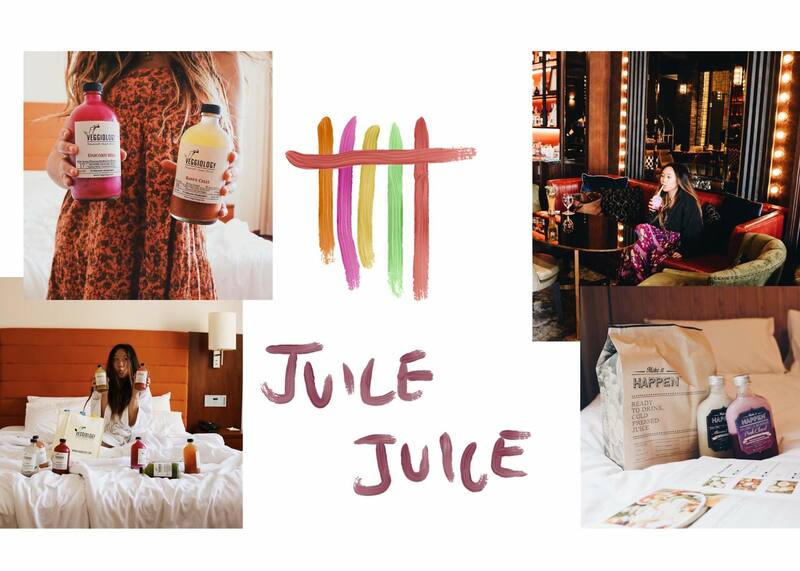 This is my first time doing a travel juice detox and I would highly recommend it. It’s so fun to have my hotel fridge filled with the rainbow and know I have my drinks planned out. Start a pack and get juicin in Bangkok!! 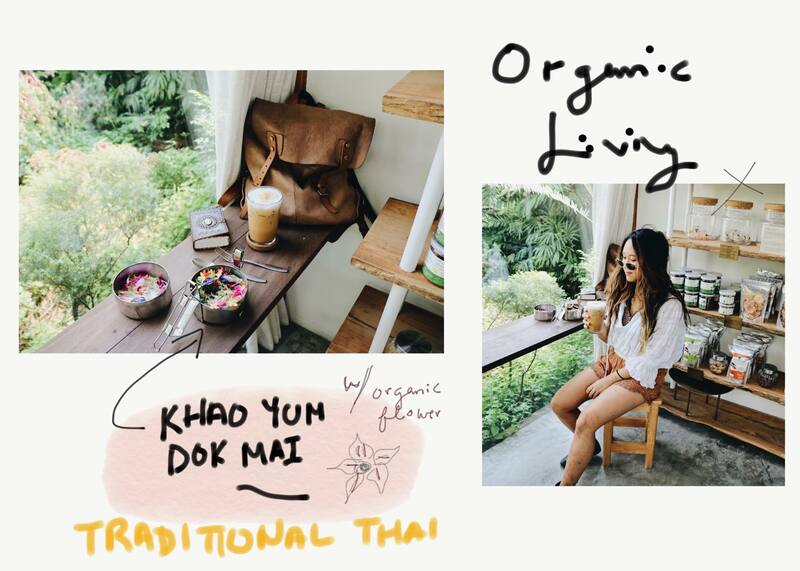 Looking for a place where you create beautiful once in a travel time memories in Bangkok? I’ve got just the spot for you that comes in a two in one package. Located in Rembrandt Hotel is Mixology 1826, their newly opened rooftop bar serving one of a kind decked out drinks. I’m talking drinks in treasure boxes. This is definitely a place to have a casual drink or two with the girls while catching a sunset overlooking Bangkok City. Not a bad time at all!! Next, head on over to Rang Mahal, a multi-award winning Indian restaurant next door. 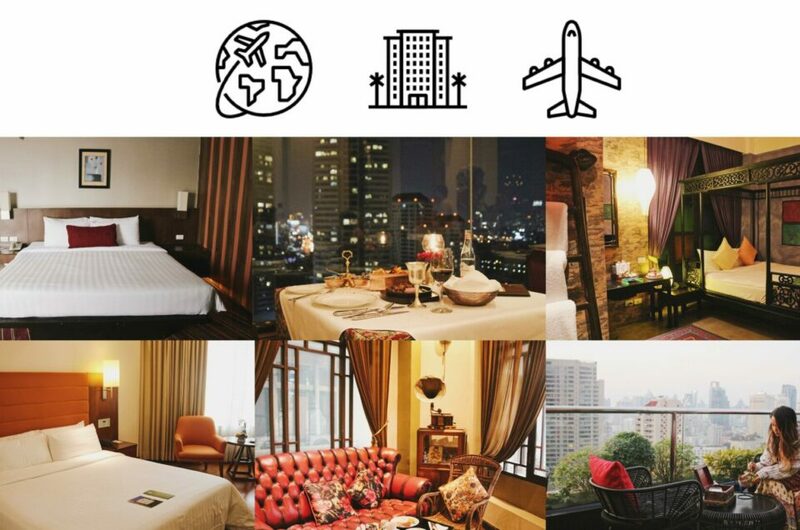 Enjoy dinner at the top of a sky rise hotel with the absolutely stunning view of Bangkok city by night. Their menu deserves some spotlight time because they serve the best curries in Bangkok. So much flavor and spices go into each of their dishes crafted using different processes to enhance your experience. I’m drooling just reminiscing about the dinner at Rang Mahal. Infusing staple comfy food with your favorite coffee, in a Uber trendy twist, you have D’ark coffee!! I’m so happy I came across this little gem because for one they make the most instagrammable smoothies you could DREAM of. I’m talking strawberry blueberry blended smoothies decked out with macaroons, drizzles, smiley face chocolate, crunchy rainbow chocolate balls dripping off the edges, more chocolate!!! Here’s another reason why D’ark is simply awesome. The do Brunch all day. And if that doesn’t convince you to stop by, they have multiple variations of coffee to cater to your favorite way to get your caffeine kick. All sources from passionate farmers across the world so you know your supporting local when you’re sipping your favorite. Dark has multiple of locations in Bangkok depending on what type of vibe you’re after. From central location with an open space to catch up with friends, or a low key boutique style location to bring in your lap top and maybe get in some work! I know I’d definitely live in this cozy coffee shop if I lived in Bangkok!! Looking for a high-end Thai food experience? Enter Paste. Located in Grayson village, you know this resto has got some mad stars to start off with. And behold! Looks are not all it has! 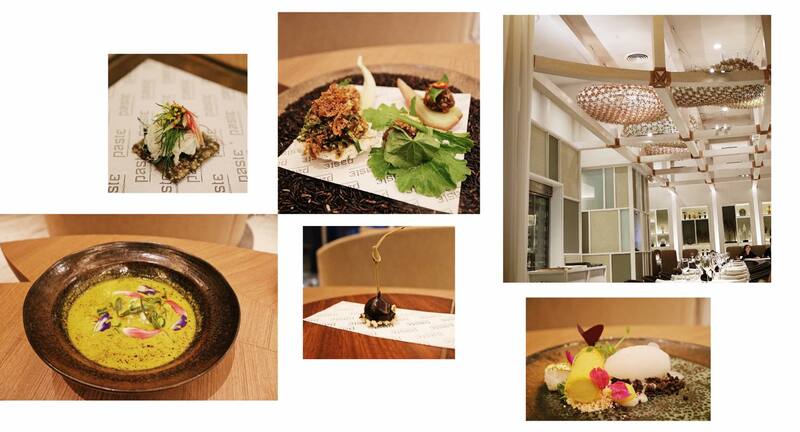 Calling all foodies, this is the restaurant for anyone looking to have a taste of art in the form of food in the purest and most delivious way served. A big applaud to the chefs at paste putting their craft in all the spices flavors and ingredients used to curate a masterpiece of a menu. I had dinner at Paste and started with their mini bite-size starters that are all powerful in flavor for its tiny size which you can literally taste the combination of all the ingredients put together all at once. A taste bud explosion of delight. 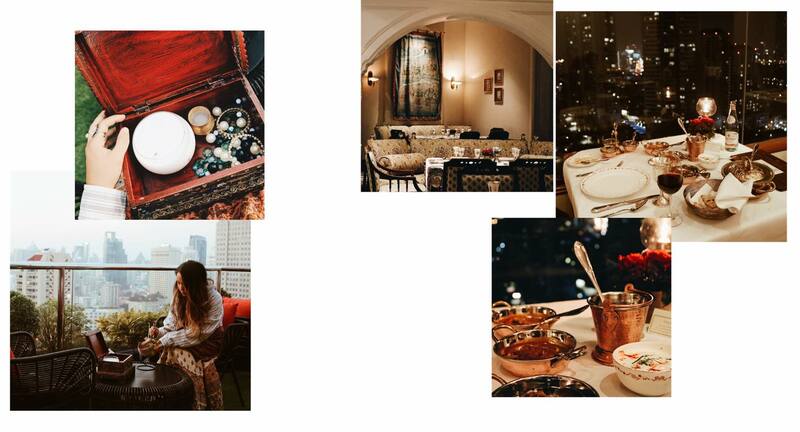 Paste is a wonderful place for fine dining if it’s just for yourself or with your girls. The food, atmosphere, and service create their all around experience worth every penny and second of your time. So, slow down, take a bite, and savor one of the most beautiful things graced by life. Take a trip to Japan at Kashikirisoda Onsen and Spa and get pampered from head to toe with their in-house creamy onsen bathtubs, green tea body scrubs, full facial to get your skin glowing, and body massage to relieve stress and tension. Pink Kimonos are provided with your experience with the cutest lounge with Asian stuffed animals. I would definitely block out a full day for an experience here so you can take in everything without having to stress about time – because you totally deserve to treat yourself here. It’s ME or WE day at Bamboo Spa, another amazing Spa for groups, solos, and couples! Get the best foot massage after a long day of exploring and walking around at Bamboo Spa. They have big comfy chairs for you to snuggle up and get comfortable in while their therapists give your feet a full deluxe treatment! It’s one of my favourite massages to get as we use our feet every single day – they deserve some love too. 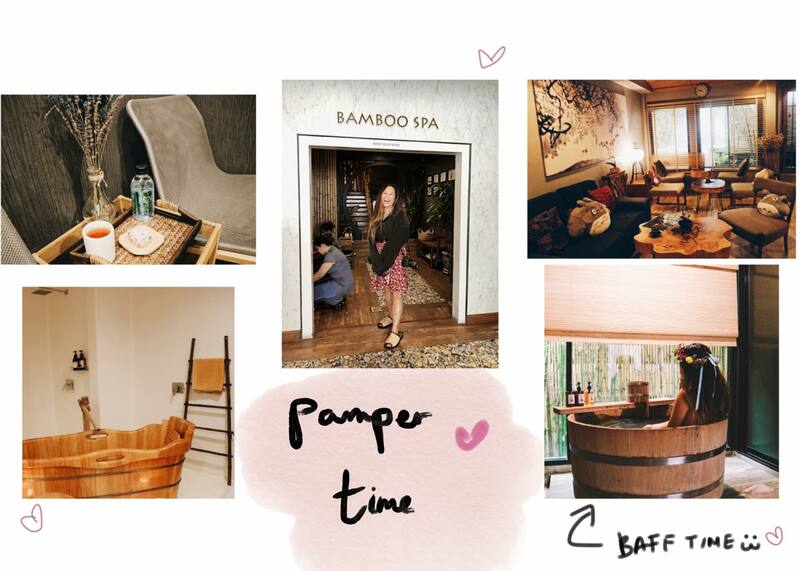 Also, Bamboo Spa is known to be a celebrity spa place so don’t be surprised who you might you see there next!! Rally up the gang and get your bums over to saucey chicken and beer!! The perfect place to start off your night with your crew with some classic wings and some fun beer bombs. This chill atmosphere with an open lounge is a great place to open your night while indulging in some saucey chicken wings displayed in a Ferris Wheel! Flavors from Issan Thai spicy to saucy BBQ buffalo wings, you simply can’t get enough. When the night gets bumpin, get ready for beer bombs!! They make vodka taste AMAZING. I know, VOKDA… I never thought I’d ever say that in my life. 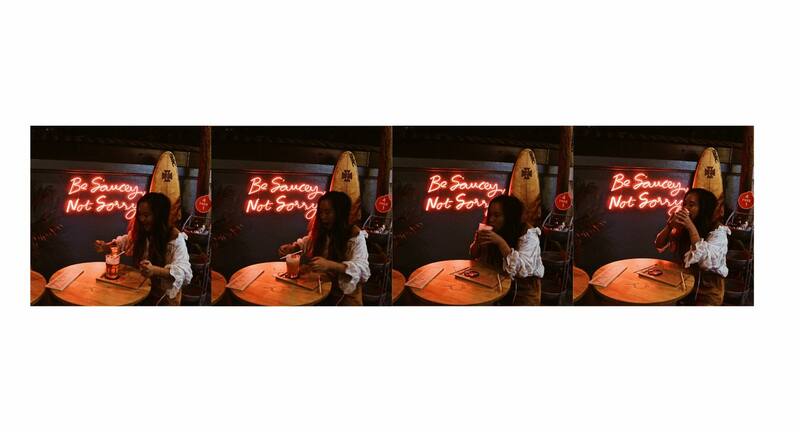 Come early so you can grab priority seating by their be saucey not sorry light up sign, Instagram worth much! From farm to city, enjoy a Pinto lunch at Patom in their sceanic location emerged in greenry. Browse their organic products from skincare to household utensials to spices while grabbing lunch and coffee. Take a walk outside with the sun shining down and enjoy the outdoors with their community gardens and backyard chairs.